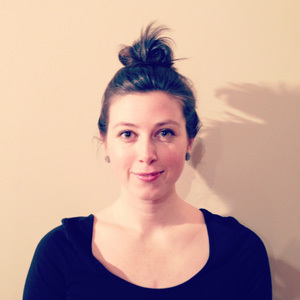 Rebecca Burrill is a dancer, visual artist, and movement based educational therapist. She received her doctorate in studies focusing on the relationships between movement, brain evolution, child development, art making, and learning. She is a certified elementary educator and is artistic director of improvisationally based dance programs in schools, K-12. 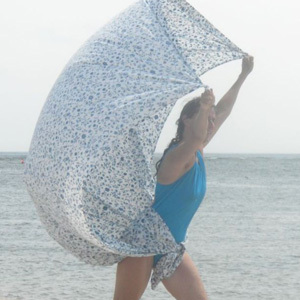 She is published in Teaching Artist Journal, most recently: “The Primacy of Movement in Art-Making”, 10/2010; and published in The American Journal of Dance Therapy 10/2011. She recently performed a solo dance piece—Dancing the Dunes—linking languages of nature with languages of art, exemplifying her work of tracing the evolution of human intelligence back to our primal relationship with Nature, a relationship that was instrumental in the development of language and art. With these understandings she seeks to renew human engagement with the primary creative intelligences of movement, sound, feeling, imagination and ecological conscious and their natural, organic, empowering and integrative capacities. Galen Bremer is a composer and multi-instrumentalist currently based in Brooklyn, NY. His work focuses on experimental music using noise, improvisation, modular synthesis, and elements of performance art. He appears on recordings with New York art rock band Forest Fire on FatCat records, and participates in a long form collaboration with choreographer Anne Zuerner, creating music for dance. Bremer received his undergraduate degree from UNC-Asheville, where he studied jazz performing arts and contemporary music. Emma Hoette took her first dance class in a small beach town in Australia. Since then she has danced in many places from Amsterdam to NYC. She has performed with the Dutch National Opera and Imprint dance Co. but it was her role with the Next Stage Project that first brought her to NYC where she still lives and creates today. After studying at the Alvin Ailey School, DNA and Lang College Emma was certain of the importance of combining dance and design which led her to the Integrated Design Program at Parsons the New School for Design. Emma has articulated her fashion/fine arts talents under the inspiring guidance of Pascale Gatzen, Gabi Asfour, Susan Ciancolo, Sarah Stolwijk and Sabine Seymour. Simultaneously she has been honored to work with and perform for renowned Forsythe dancers Jill Johnson and Mario Zambrano, as well as renowned artists Keely Garfield, Rebecca Stenn and Alexandra Beller. For Ishmael Houston Jones and Eric Jackson Bradley she not only performed but also designed costumes. Emma has also created costumes for Yaa Samar Dance Theater and Ashleigh Leite. Born 1982 Philadelphia, PA. Athena Kokoronis is an artist living in Brooklyn, NY. Her works are most often collaborative and research-based. They involve food, cloth, and mushroom hunting to create experiential presentations in both dance and art contexts. With support of iLAND in 2009, Kokoronis co-founded StrataSpore, an interdisciplinary research platform dedicated to a collective knowledge of fungi. She has performed for choreographer Daria Fain and has collaborated as Digestion Choreographer at Mildred’s Lane, an artist community in Northeastern Pennsylvannia. Recent performances in New York have involved cooking, theories of mushroom procreation, a John Cage score, and the development of dance with a barter economy. Current work in progress is influenced by motherhood and a fermenting indigo vat in her cellar. Hannah Krafcik studied English and American literature and Dance at the University of South Florida. She went on to receive her Master of Arts in Performance Studies from New York University, where she focused her research on dance theory and photography. She has worked with numerous organizations and artists specializing in communications, project management, fundraising, and community-based nonprofit work. Her curiosities lie with the potency of dance as a catalyst for community building. She currently works at The Jewish Museum. Ardie Petsas, aka Fuzzy Fotch, is a Boston based DJ and producer. He is the co-founder of the tropical bass party SubTropix as well as the late SVVIM. Ardie has performed from coast to coast with artists such as Le1F, Doctor Jeep, Tony Quattro, Pictureplane, Obey City, and Quantic to name a few. He has DJ’ed the first Fleet Moves Festival and is very excited to be back. Zoe Rabinowitz is a freelance dance artist based in New York City. Originally from Vermont, Zoe earned her BFA in Dance from the Ailey/Fordham BFA program, and studied abroad at De Amsterdamse Hogeschool voor de Kunsten in Holland. She has since performed with companies such as INSPIRIT, JoAnna Mendl Shaw/ Equus Projects, Nia Love/ Blacksmith’s Daughter and Urban Bush Women. Current projects include collaborations with Anne Zuerner, MBDance, the Movement Party, Red Currant Collective and Yaa Samar! Dance Theatre, a contemporary dance company based between New York and Palestine, where Zoe is a founding member and Associate Director. Her own choreography has been shown at the Women in Motion Salon Series in New York City and the Fleet Moves Dance Festival in Cape Cod. In addition to her work as a performer, Zoe is also a certified yoga instructor. Katie Baer Schetlick (Co-Founder) is a dance artist/maker/researcher and current Lecturer in Dance at the University of Virginia. Her choreographic work focuses on developing deeper kinesthetic conversations between seen bodies, seeing bodies and their shared environment. Her work has been presented at Dixon Place, Movement Research, NADA Hudson, Fleet Moves Dance Festival, the Museum Perron Oost (Netherlands), the International Dance Theatres Festival (Lublin), Downtown Contemporary Arts Festival (Cairo), the Bridge Progressive Arts Initiative, Ruffin Gallery, Washington & Lee University, and the University of Virginia. Her writing has been published in Movement Research Performance Journal, Critical Correspondence and the activist journal, Building Alliances for Social Engagement. Together with Zena Bibler, Katie is the co-founder of the Movement Party and the Fleet Moves Dance Festival. She holds a MA in Performance Studies from New York University with a focus on dance and the politics of space and BFA in Dance with a minor in Anthropology from the Alvin Ailey/Fordham University program. Runn Shayo. I am a time-based, environmental, site- specific film and performance artist. I use film and video to create installations, sometimes combining multiple channel video projections with live art. My background as a dancer and an actor in theater and film influences my work. My works for the screen range from experimental documentaries to dance films, and to what I define as “Environmental Site Specific Performance art film. These works explore environmental aspects of landscapes through filmed performances. My works usually deal with subjects of gender, immigration, or the environment. They explore the struggle of an artist in contemporary contexts. I discover my characters and their stories through researching archived popular TV shows, classic history films, and archived documentation of conceptualized contemporary performance art. The ancient form of storytelling is what I ultimately honor, yet, in the center of my exploration is the meaninglessness of words, the out-cast, the sidekick; a voice of a mute preacher. I was born and raised in Israel, moved to New York 18 years ago to attend school and have lived here ever since. I am Runn Shayo. Brian Shaughnessy is a first year MFA Technical Production candidate at Florida State University. He holds a BS in Construction Management and a minor in Business Administration from California State University, Sacramento. He currently resides in Tallahassee, FL. Jessie Young is an interdisciplinary dance artist, teacher and photographer inspired by the process of using physical metaphor as a structure for practice and performance. Her choreography has been presented by FringeArts (Phildelphia, PA), Krannnert Center for the Performing Arts, Indi go Artist Co-op (Champaign, IL) and in Chicago by Links Hall, Chicago Home Theater Festival, Chicago Dance Crash and The Inconvenience. Jessie has performed nationally and internationally with independent artists and companies including Deborah Hay, David Dorfman Dance,The Seldoms, Kristina Isabelle Dance Company, Khecari Dance Theater, The Moving Architects, The Space/Movement Project, Rosa Vissers, Stephanie Acosta. Jessie received her BFA in Modern Dance from the University of Utah and is currently an MFA candidate in the Department of Dance at the University of Illinois, Urbana-Champaign. Rishauna Zumberg lives, works, and dances in New York City. By day she has worked as a social worker coordinating a violence prevention program in an East Harlem high school and by night (‘s and weekends) she often participates in body-based practices and performance projects. Some collaborations in addition to Fleet Moves have included the Witness/Merge Inwood Hill Park-based practice turned Arts Interaction at the United Palace of Cultural Arts with the Way Uptown Dancers & Friends, FAB fest tango riff and Pentamodes street score with The Movement Party, and improvisation/performance work with Accidental Movement/Mariangela Lopez! The past two years in Fleet Moves has brought Rishauna great joy in returning to dances in the wild so she is thrilled to embark upon the next adventures of 2014.